Happy Funny Bone Monday, everyone! I hope the weekend treated you all well? 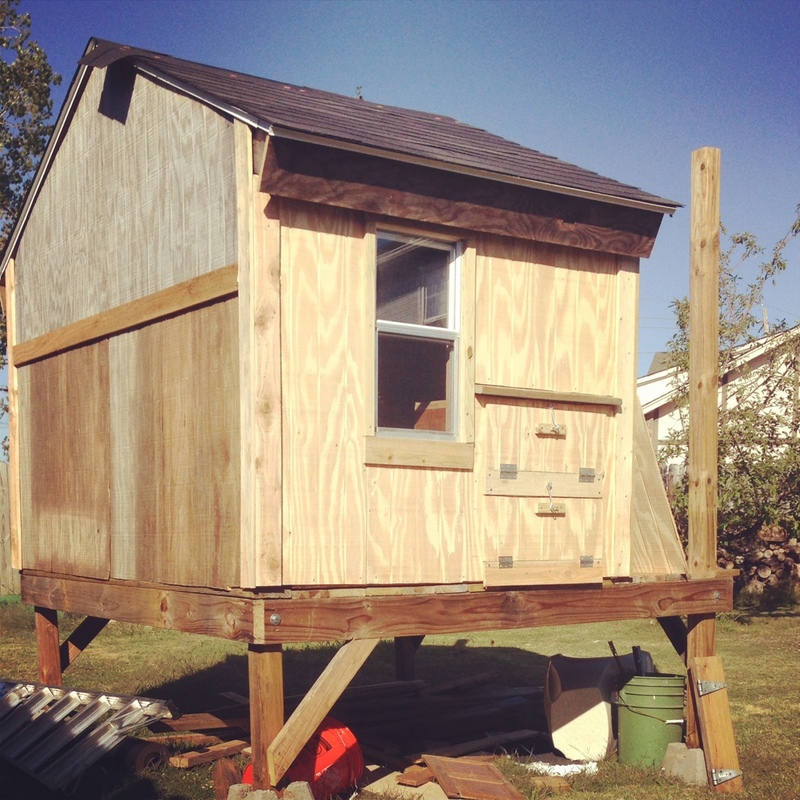 We spent the weekend building a chicken coop! Well, I spent part of the weekend making a leather leash for a fellow dog blogger. Y’know. Wanna see the coop before we launch into videos? The siding and trim are all on, and the roof is nearly done. The nesting boxes have doors. WOOHOO! It’s not finished, obviously, but it’s come a long way! We’re hoping to have the chickens and Jimmy in before the first hard frost. The sooner the better, since the Hunny and I chased off two very large hawks yesterday. 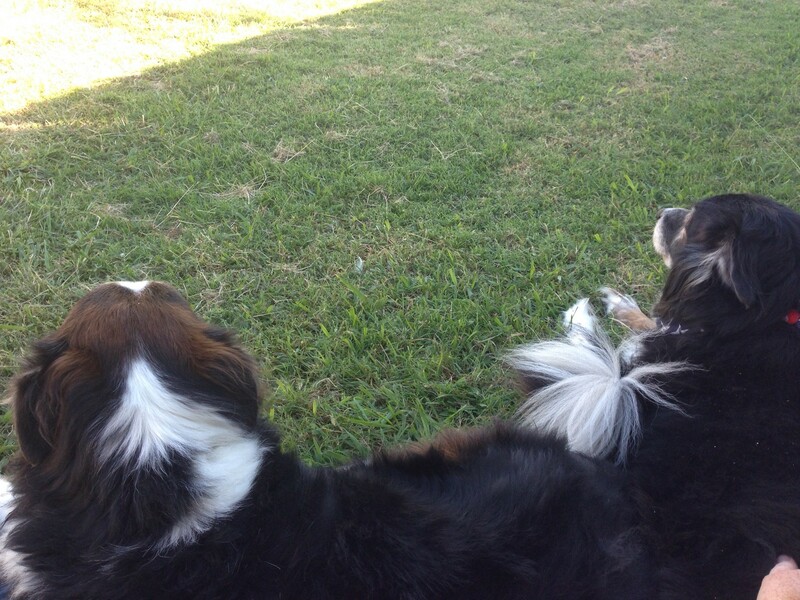 The dogs just lay around in the yard while the hawks circled. Hunny grabbed an eight foot long 1×2 and started swinging at the hawks. I’m so proud. Bums. They didn’t even try. They don’t “do” hawks. They sure “do” treats, though. Christy, can Lulu do that? My dogs sure can’t. They can catch a treat in the air with their mouths, but not a ball with their paws! Now watch this next one and be ready to “awww”. Is that not the cutest thing EVER? Misaki, were you that cute when you were a puppy? Of course you were! I think y’all will see, right off, why I like this next video. You may recall there was a giveaway last week? For my birthday month? There will be another this week. My POINT is, there’s a winner! And that winner is Bren, the Pibble mom! She and Titan were very happy this weekend to bring another Pibble into their home, a companion for Titan. So exciting! Congratulations, Bren! I’ll need your address for shipping the video. That’s it for this Monday! I’m participating in Snoopy’s Monday Mischief blog hop. Y’all pop over and tell Snoopy hi, check out the other mischief makers!